Discussion in 'Classifieds' started by deadlyhandsome, Dec 6, 2018. 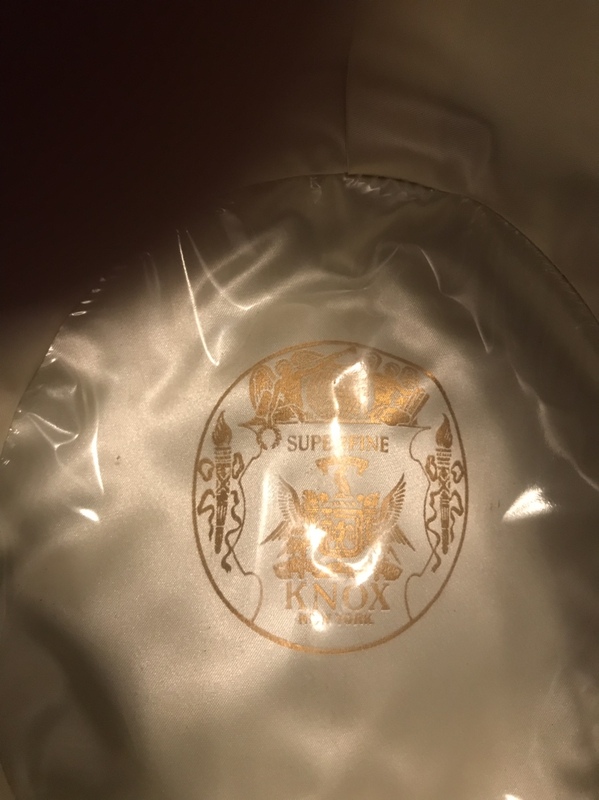 US size 7 3/8 Long Oval Knox Superfine O.P.S. 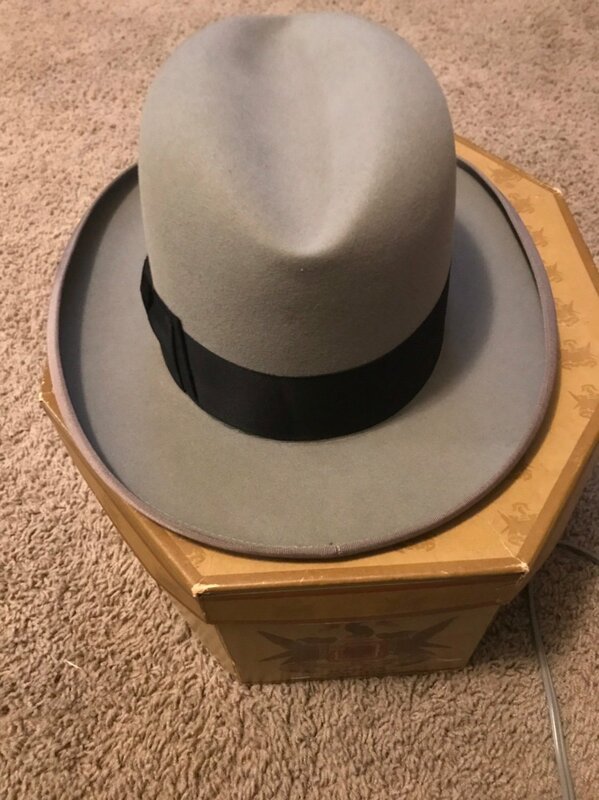 era (early 1950s) homburg with box. steur, busmatt, drmaxtejeda and 2 others like this. SWEET!!!! Now when are you going to list those 7 1/2's?!?!?!?!? Just Daniel and deadlyhandsome like this. 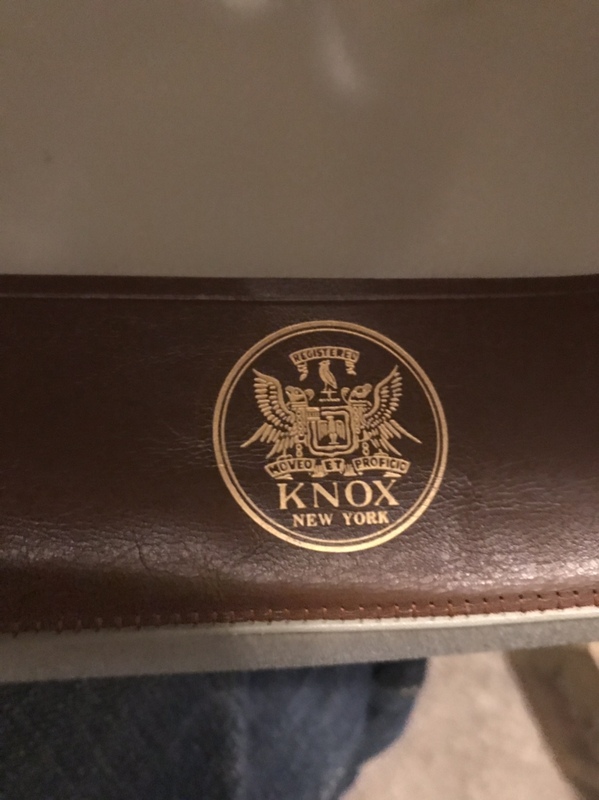 How do you rate it against the Knox 20s? drmaxtejeda and deadlyhandsome like this. That’s tough. 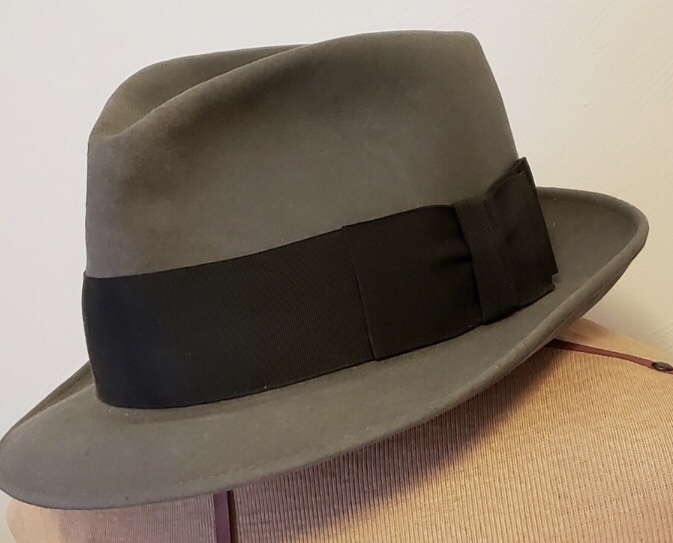 By design homburgs usually have more structure and the brims are stiffer than a fedora. I know you know all this. 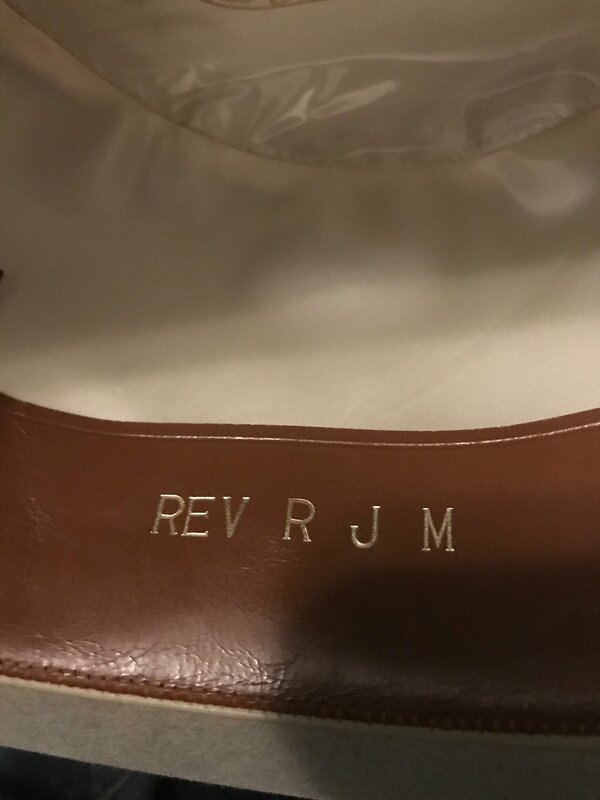 The felt is very nice. 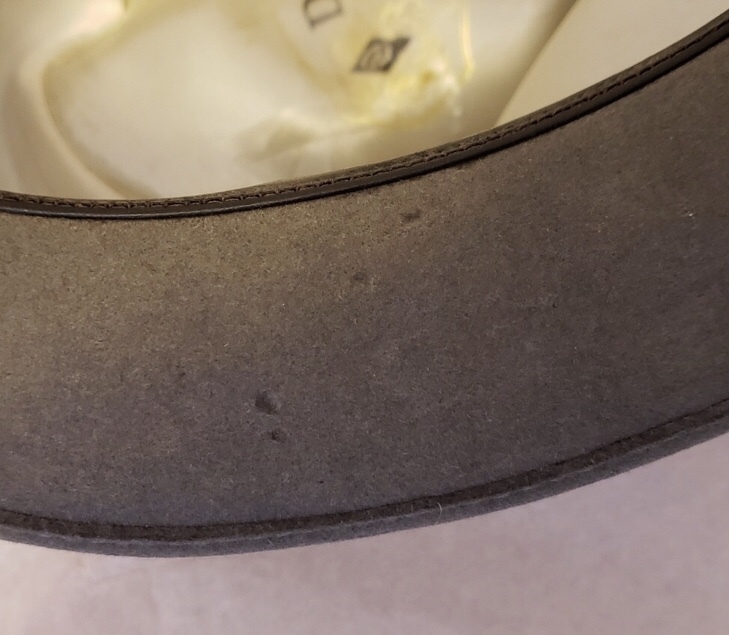 It arrived open crown and it accepted a dry crease without issue. 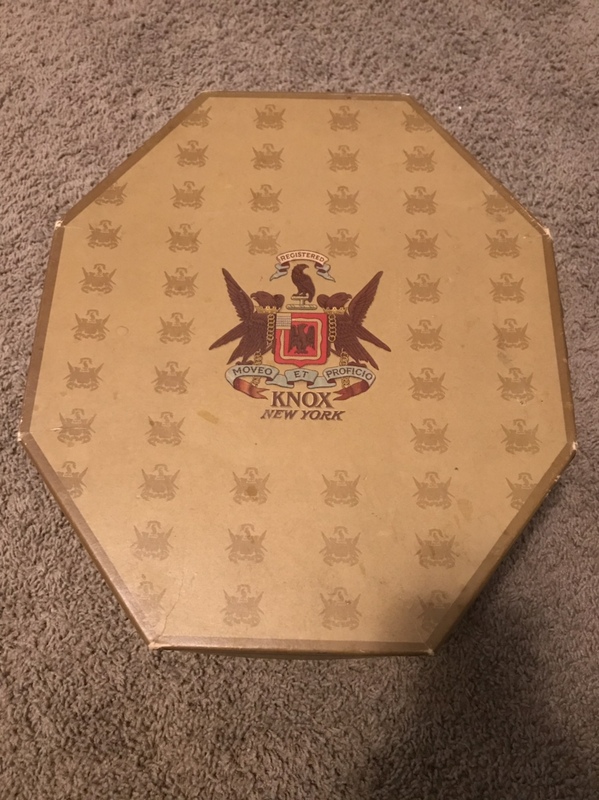 My only Knox Twenty is a decade older than this Superfine but I think I’d give the Twenty the edge. drmaxtejeda and Just Daniel like this. 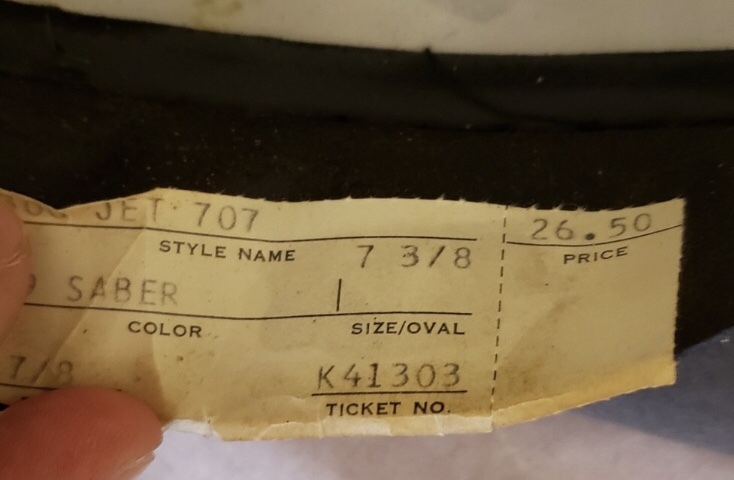 I ended up with this because the seller wasn’t sure if it was a 7 3/8 or 7 5/8. Rolled the dice and lost. 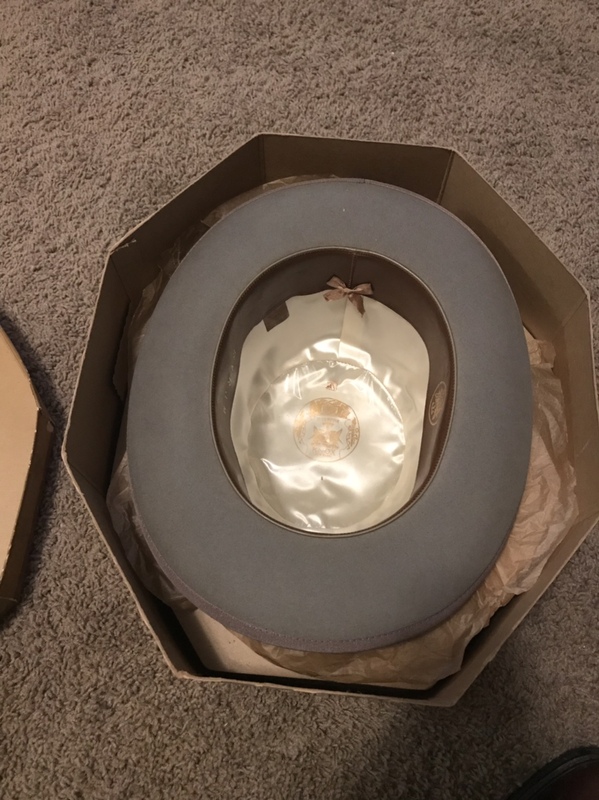 It’s such a nice hat too. 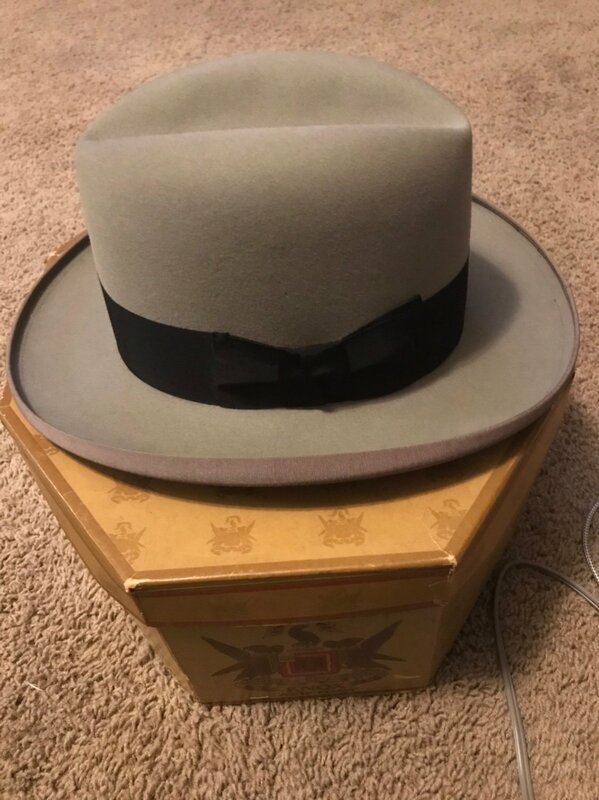 I thought about keeping it just to have it but someone should get to wear it. 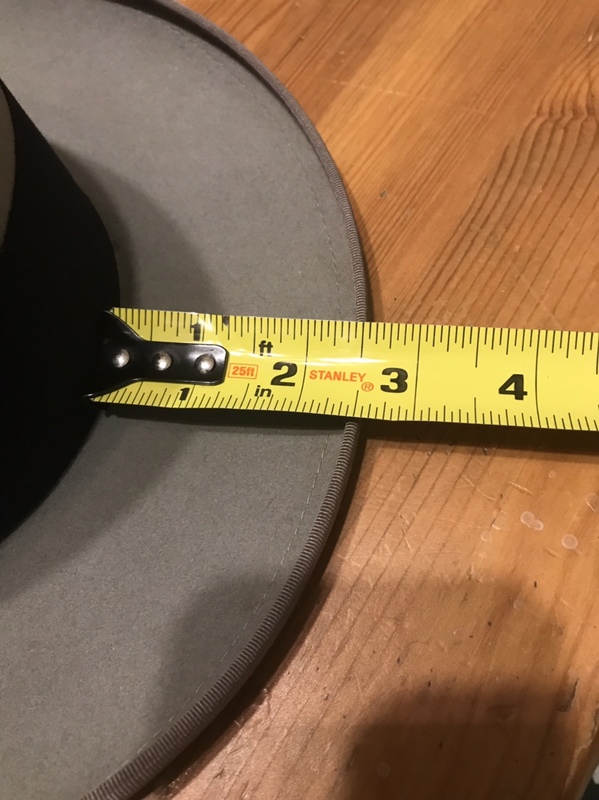 What is the brim width on this? 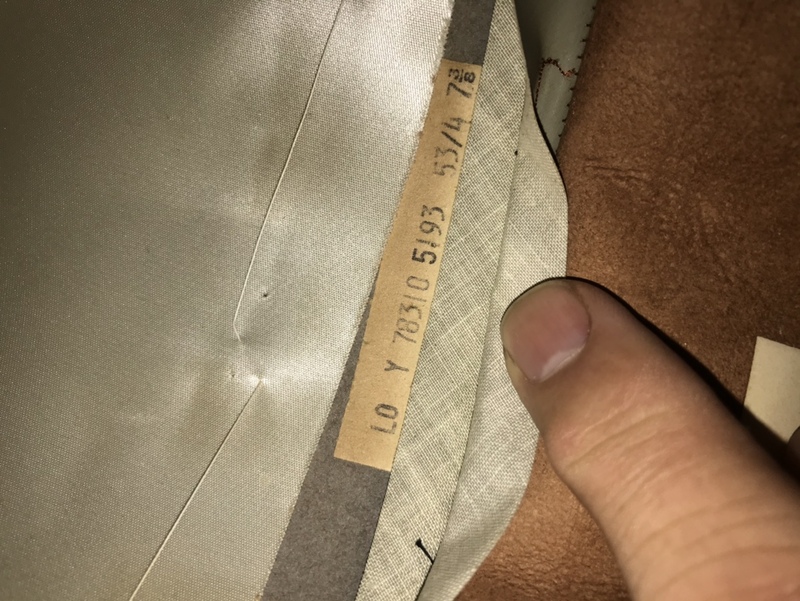 Is it a very light grey felt (on my monitor) or a light brown? It’s light grey. 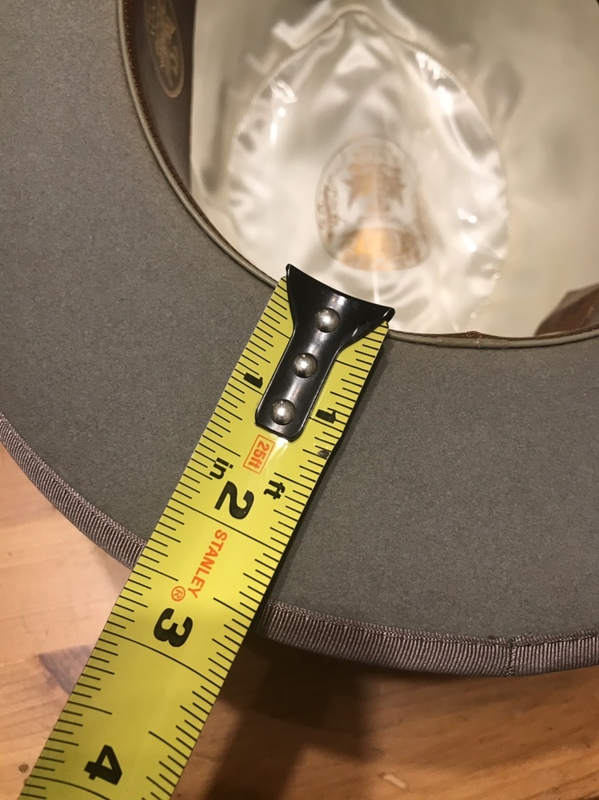 When I get home I’ll measure the brim for you. 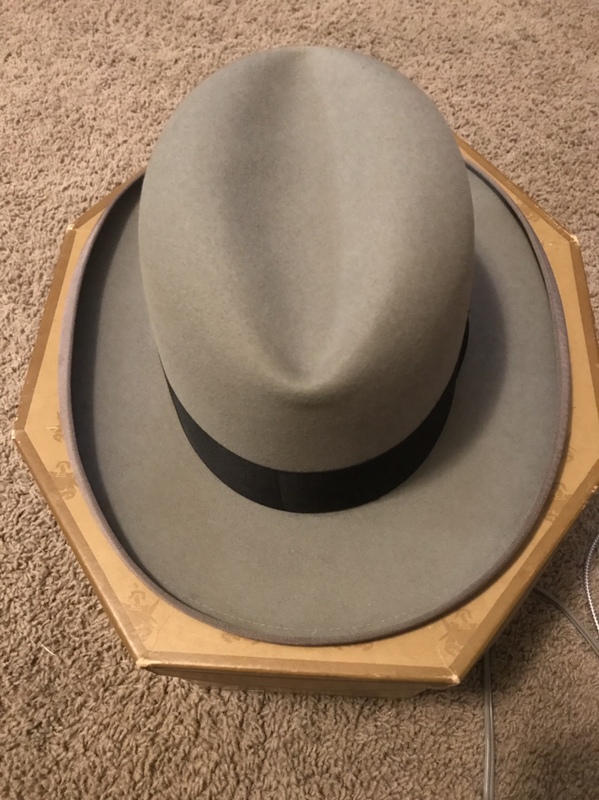 That is a magnificent hat, Brent. Too bad it's three sizes too large for me. 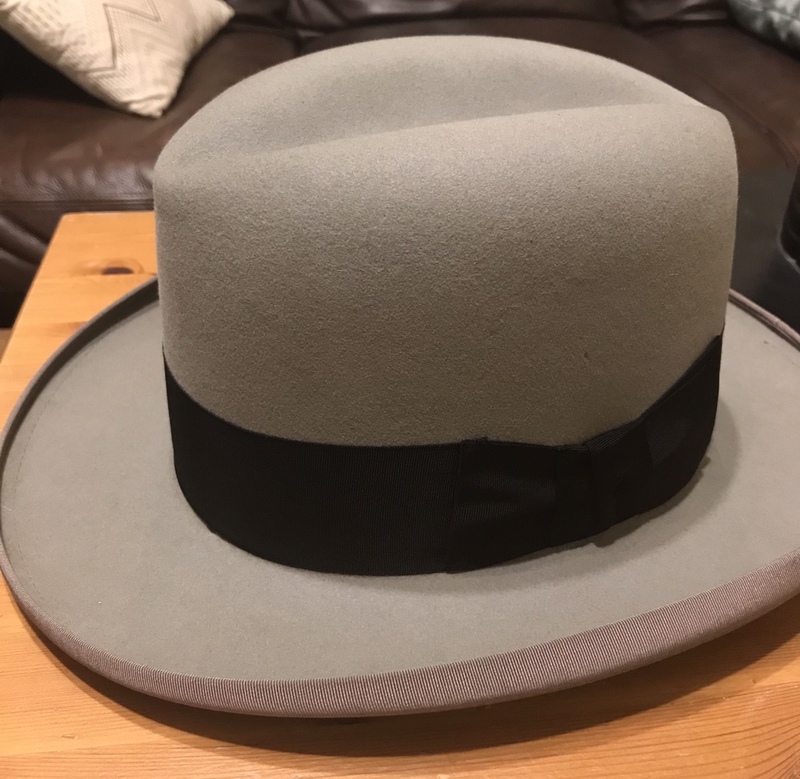 Knox superfine is an excellent homburg by any standard. M Hatman and deadlyhandsome like this. Just making sure you saw that I added the measurement you were looking for. I asked Bowen the same question. He says the Twenty is better hands down. I would agree that the Twenty is nicer, but this felt is also very nice. 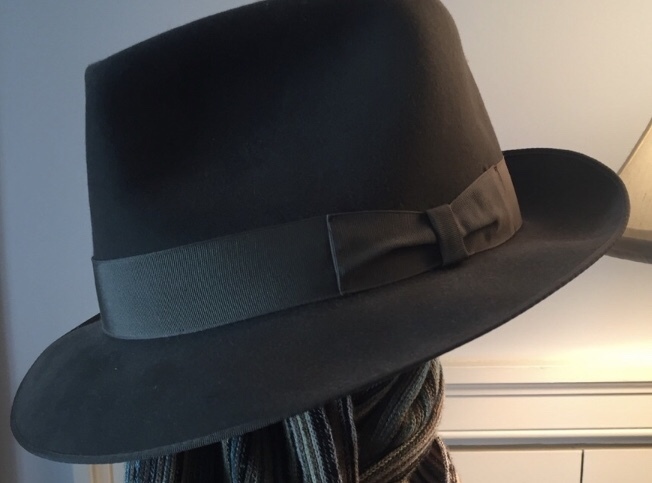 An amazing hat at such a low price. 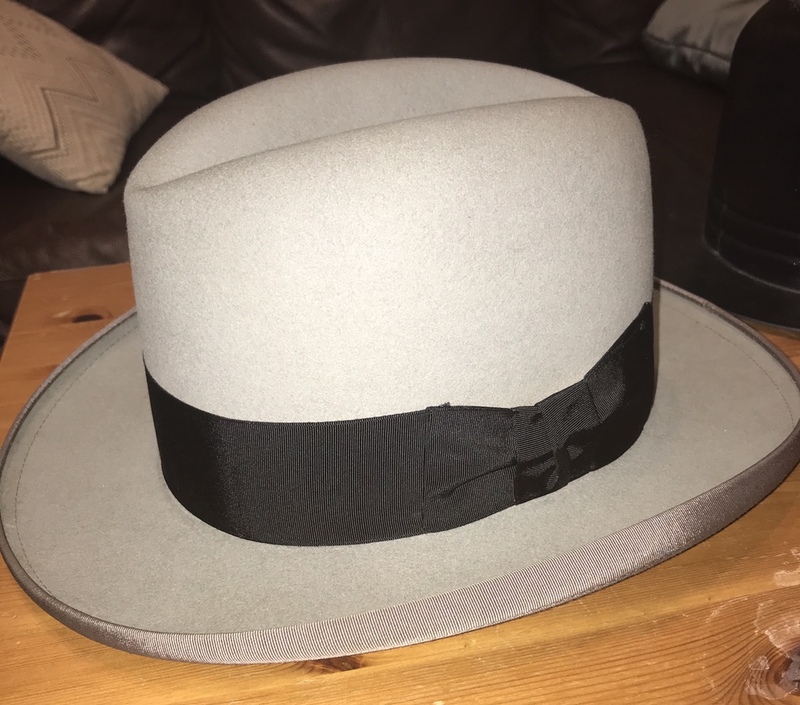 Come on fellows; start wearing real hats and step into the Homburg Nation (you never want to leave). Kuro and M Hatman like this. Any other 7 3/8 coming up. NewJack and BobHufford like this. I also have this Dobbs 707 stingy with some moth damage. 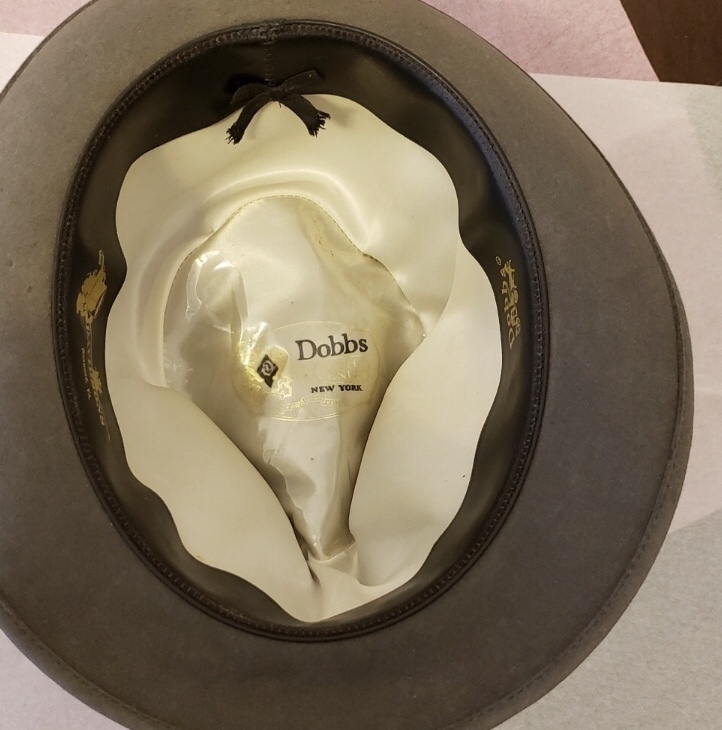 I’d let this Dobbs go pretty cheap if anyone was interested.